Spotfire vs Qlik Verdict: Spotfire 7 addressed any complaints users might have had about ease of use. But Spotfire is the thin end of a very thick wedge. 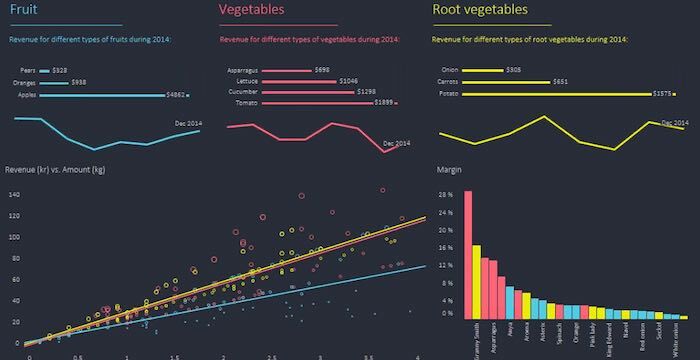 It does the dashboards and data exploration that many users want, but it also addresses many other forms of analytics if needed (text analytics, predictive analytics, statistics). Qlik on the other hand is almost exclusively a data exploration, dashboard and reporting environment. 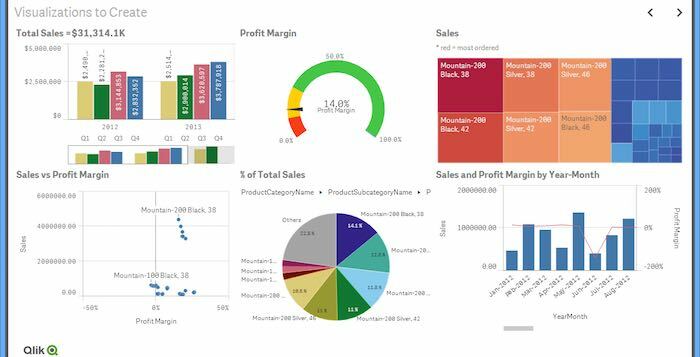 QlikView addresses production BI (reporting etc), and Qlik Sense is the easy-to-use data exploration and dashboard tool – and it’s very powerful, having seen it in action. Businesses needing a full analytics environment should consider Spotfire, and those looking for pure BI should give more weighting to Qlik. Both platforms are available as cloud deployments. Qlik offers pure BI platforms, with QlikView more suited to a production environment, and Qlik Sense something of a Tableau data discovery and dashboard look-alike, but more powerful. The environment is extensible so that new reporting structures, chart types and most other objects can be created, and the data engine behind Qlik Sense and QlikView makes finding and using data very easy. Qlik Sense is available for the desktop as a free download! Obviously if you want to set up the full Qlik infrastructure it’s going to cost. Qlik supports many data sources – databases, big data, cloud data, but with the difference that the associative data engine produces an integrated view of data with in-built knowledge of the relationships between different sources. Qlik can also be used for embedded analytics, where a dashboard, report, table or chart is embedded into a production application. Qlik Sense is also available online. Spotfire met the ease-of-use challenge in version 7. It recommends appropriate visualisations and navigating data sources is much easier. And so Spotfire supports the creation of dashboards, data exploration and reporting, but if users want to perform advanced analytics Spotfire provides an engine specifically for this (predictive analytics and statistical analysis particularly). And then the story broadens to complex event processing, data and process integration – and most of the things a large organisation might need to do. So take as little or as much as you need. TIBCO has been around for quite a while and is expert in the real infrastructure issues which analytics presents. This is not a fancy wrapping with no content.